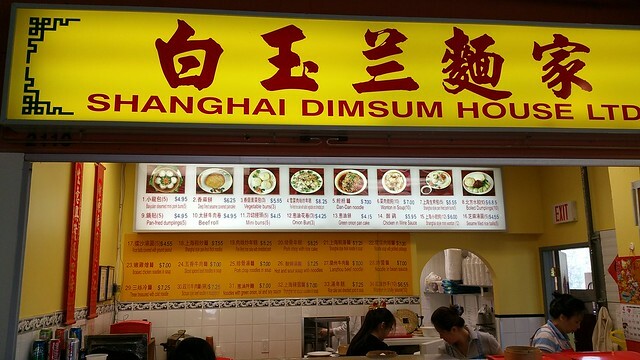 After renovations, Xu's Wonton House is now Shanghai Dimsum House. Menu looks the same. Went back with a friend today and this time I also tried the pan fried version. Tasty (and slightly fatty tasting? ), flavourful broth inside. The golden-brown bottom looks suspiciously deep-fried. In any case, quite crispy in parts and that it can therefore snap and cause the soup to spill out. Basically you get a fried texture and flavour to #1 for just 60 cents more. 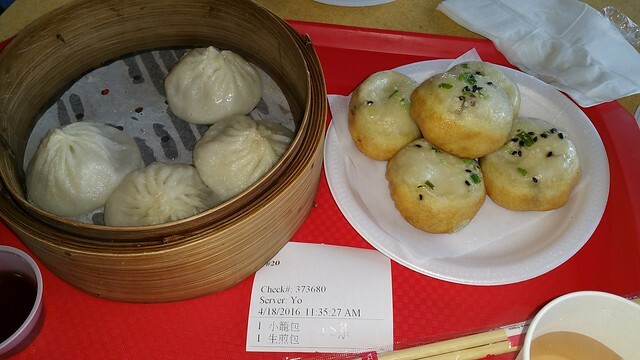 The modest cost is really good enough that you should consider it, especially for take-out. Steamed buns don't travel very well in my opinion. Depending on your appetite, one or two plates is enough for a meal, so you are looking at a mere $4.95 to $10.50 for lunch. Tasty, and great value! Counter service was pretty crappy toward my non-asian friend. The server managed to avoid eye contact for a long time even though she was already right at the counter waiting to order--to the extent that I had the vibe she was hoping my friend would leave, maybe so she wouldn't have to deal with an English-speaking customer (? ).